Shunfu Ville, located close to Marymount MRT Station, has been relaunched by JLL for a collective sale, when an effort last year failed to lead to an acquisition. However, there’s no amendment to reserve price determined by the homeowners at S$688 million, that translate to about S$791 per sq ft of estimated gross floor space, inclusive of 2 payments to the state – a amount difference for building an even bigger development on the land parcel and a top-up of the the site’s lease term up to 99 years. JLL pointed to many “positive signs” beginning to show for the private residential property market. Housing has turned cheaper since 2008, with home costs resembling 9 to 10 years’ income. As of now, the figure is between 5 to 6 years. Moreover, property developers are eagerly looking to refill their depleting land banks, as seen within the recent land sale under Government Land Sales at Siglap Road. The 99-year leasehold plot received 8 bids, with the top bid coming in at S$624.18 million (or S$858 psf ppr). This was the biggest plot for private residential sold by the government in the Outside Central Region (OCR) within the last 4 years. Yong Choon Fah, JLL’s national director, mentioned that this is a good sign for Shunfu Ville, which is situated in a rather central location with an affluent population structure, well-connected by the MRT, panoramic views of the Singapore Island Country Club’s (SICC) golf courses and MacRitchie Reservoir, renowned educational institutes and malls within the vicinity. “Priced at a baseline amount of S$688 million, that reflects approximately S$791 psf ppr, we tend to believe the collective sale may receive a better response this time round as compared to last year’s tender when only 2 interests were received,” Ms Yong mentioned. Moreover, there hasn’t been any sites for sale under the Government Land Sales programme within the Thomson/Bishan precinct since the sale of the land parcel at Lorong Puntong (projected to develop into new launch Thomson Impressions condo) in October 2014. 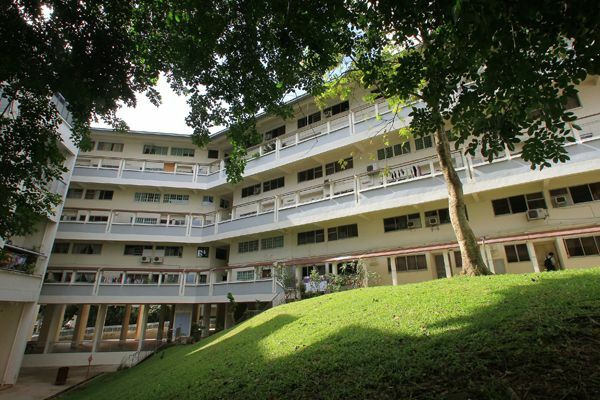 The 1st tender for Shunfu Ville was closed on 27 October last year and therefore the owners have till 10 July 2016 to secure a deal and have the application submitted to the Strata Titles Board (STB) for approval of the en bloc sale. Approval from the court is needed provided unanimous consent of the owners hasn’t been received by the deadline. JLL’s introduction video of Shunfu VilleRight now, 81% of the house owners have agreed to the collective sale to proceed. Located approximately 200 metres away from the Marymount MRT Station (part of the Circle MRT Line) and about 600 metres away from the impending Upper Thomson MRT Station (part of the new Thomson East-Coast MRT Line), the 408,927 sqft Shunfu Ville site has a remaining lease term of around 70 years. The development was built during the late 80s by the previous Housing & Urban Development Company (HUDC) and attained privatization in 2013. As indicated in the URA Master Plan 2014, the Shunfu Ville plot is being zoned for private residential use with a plot ratio of 2.8. Based on the asking price, the breakeven price is estimated to be about S$1,250 psf, with the new development expected to sell at an average amount of S$1,400 to around S$1,450 psf, said Ms Yong. The tender for Shunfu Ville will close on 10 March, 2016.